Help hurting men, women, and children and in the greatest of need with meals, shelter and more with the Love of God. 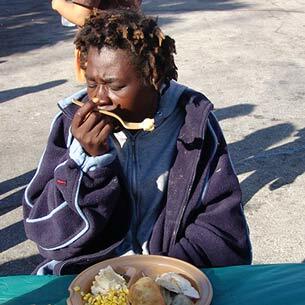 Help show the homeless and needy that people care in Miami and Broward. Every $2.10 provides for a hot, nutritious meal for someone in need. 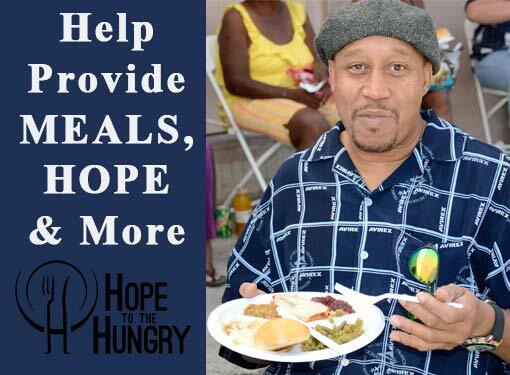 We believe that "Hope often begins with a Meal". It is hard to speak to someone about changing their life when they are hungry, tired, and hurting. "Hope to the Hungry" will bless thousands. Your gift will bring more than just a meal - it will bring Hope and more importantly an opportunity for a person to experience a new life. Help to obtain jobs and affordable housing. Thank You for giving so that "Hope to the Hungry" can be shared with those in the greatest of need. Your gift will bless people who are struggling and will help break the cycle of homelessness.